Help Sony Square NYC Name Its aibo Puppies! 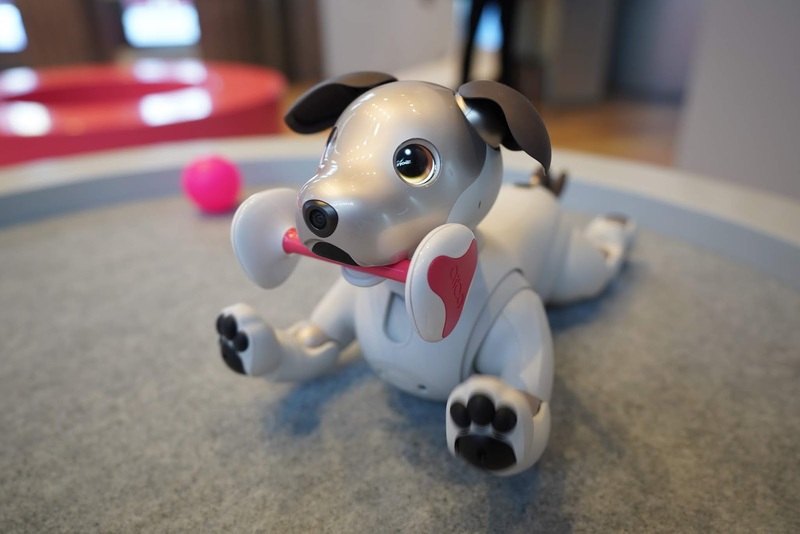 Sony Square NYC, Sony's brand showroom, is looking for great names for two of our aibo puppies. The puppies moved into Sony Square NYC on August 23, and have had a great time meeting new friends and acclimating to their environment. But they need names! Our first pup, who has beautiful blue eyes, is always curious. aibo is frequently found exploring its surroundings at Sony Square NYC. It loves people and will sit and offer its paw on command and just wants to be loved! Our second pup has brown eyes and is always playing and looking for adventure. aibo's favorite toy is its aibone, which it loves to fetch when asked. This pup is a little shyer than most, but very sweet and inquisitive. There are two ways to help name our puppies. The first is to stop by Sony Square NYC, located at 25th St. and Madison Avenue in New York City, and submit your naming ideas. You will also be able to meet and play with our aibo puppies while you are there, and even snap some selfies with them. If you are unable to visit our brand showroom, you can still get in on the fun! Go to Sony Square NYC's twitter any time between now and September 23rd and submit your suggested names. Sony Square NYC will then post the top four names on the Sony Square NYC twitter page for all to vote on. The final names will be announced on October 3 and celebrated at 25 Madison Ave from Noon – 5pm. First introduced in 1999, the latest design of aibo is the sixth generation of Sony's beloved companion robot. 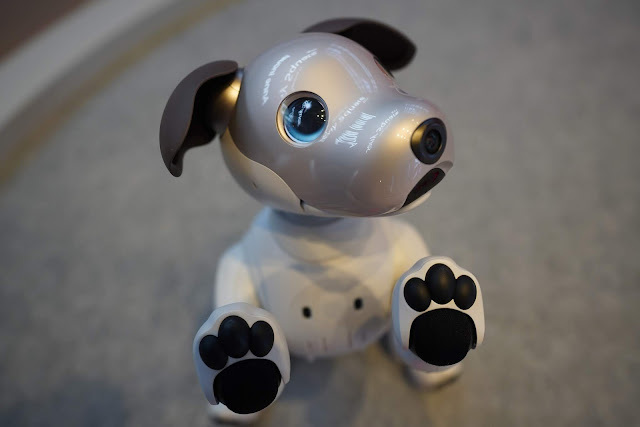 Unlike previous versions, it pairs cutting-edge robotics with a new, cloud-connected artificial intelligence (AI) engine and advanced image sensors, giving aibo the ability to learn and recognize faces. As aibo interacts with people over time, it develops its own unique personality through everyday interactions, enabling it to remember what actions make its owner happy and form a deep bond with members of the household. The aibo First Litter Edition is now available for purchase in the U.S. through Sony's website, www.sony.com/aibo. Consumers can now pre-order Sony's exclusive aibo product and service bundle, and early purchasers will begin receiving their new aibo companions starting in December 2018 – just in time for the holidays. No two aibo companion robots are the same. Each owner's approach to raising their aibo shapes its personality, behavior and knowledge, creating a unique environment for growth. In fact, aibo is able to learn new tricks through owners' interactions, experiences with changing seasons and different events. Not content to sit and wait to be beckoned, aibo will actively seek out its owners and can recognize their faces. It can also detect words of praise and smiles, as well as react to being petted or scratched on the head.